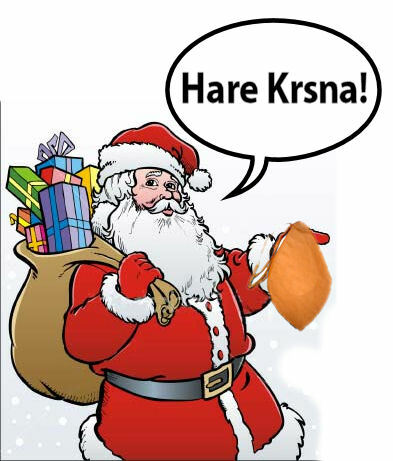 Tonight - Our 4th Annual Krishna-Christmas Party! ~ The Toronto Hare Krishna Temple! Tonight - Our 4th Annual Krishna-Christmas Party! Christmas is here and, as per our tradition every year there is going to be a delightful, "Hare Krishna" celebration tonight, Tuesday, December 25, 2012! It will be a special celebration combined with the weekly Tuesday Sankirtan Sanga! It is an amazing opportunity for families and friends to get together with your Hare Krishna family and have fun! Let's celebrate X-mas in our own devotee way! Hope to see you tonight!